"Asana facilitates effective teamwork by keeping communication and task management in one place." 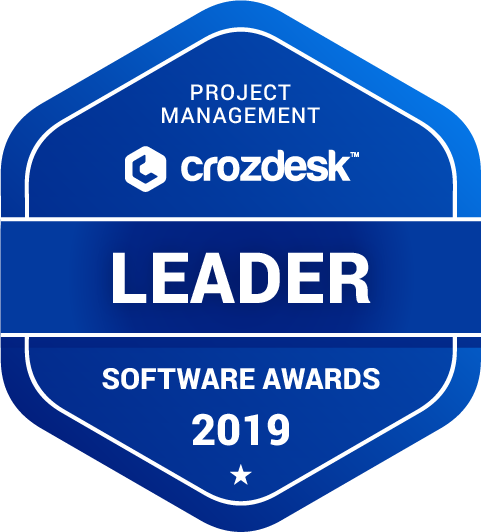 Asana scored 88/100 in the Project Management category. This is based on user satisfaction (85/100), press buzz (66/100), recent user trends (rising), and other relevant information on Asana gathered from around the web. 4.26/5 based on 4832 user ratings. What do you like about Asana? I can easily create a tasks and assign it to the desired team member plus regularly track the progress on a task as a follower which I liked the most about Asana. What do you dislike about Asana? I cannot assign same task to the multiple team member which I dislike about Asana. I like the visibility Asana give me into tasking and activities across team members. I get a lot of value out of the month at a glance view, which enables us to see parallel work-stream activities and make not of any dependencies. There is nothing I really dislike about the product. The user interface is fresh and clean, though it can sometimes seem a little too simplistic. What have you been using it for and what problems did Asana solve? Our virtual, global team was having trouble managing tasks and coordinating activities. Asana helped us keep track of tasks across teams and gave leadership insight into the activities taking place. It helped us better plan for future activities, after we gained a better understanding of how long some tasks took. I've been using Asana to organize my daily and weekly reoccurring tasks at a software company. I've found that it's great for organizing everything I need to do and keeping my manager up to date on what I've been working on. We can also collaborate on shared lists, such as a long lists of content ideas. For example, my manager and others contribute to that list, and then when I need new content ideas, I just go down the list and click one off. I've also found it helpful to keep track of deadlines. It is difficult to keep track of all of the projects if you're working across many teams, and we've also struggled to figure out how to code priority of tasks. Aside from sorting by deadline, you need to be thoughtful about how you create tasks and how you categorize priority. This is probably our shortcoming, but I'd like Asana better if that was easier to understand. Asana has awesome customization capabilities to tailor it to different types of tasks. It seems rare these days, but I have been very pleased with every single update they have rolled out over the last few years. We use Asana to track all employee's projects, assign tasks and know their status. I would like Asana to have more customizable reporting. One of the advantages of using Asana is that you can track tasks and actually use these tasks to create repetitive processes, but reports can be complex. Asana keeps all the tasks simplified and everybody knows what they have to do. There are so many things I love about Asana — the different ways that you can view and organize your tasks are varied enough that I think anyone could find a workflow that matches their style. Working with teams, projects, tasks, and subtasks are quick and clear. Organizing with tags and color codes is very helpful as well. One of my favorite features is how you can add a task to multiple projects at the same time. That way you can make overview projects that help you keep from getting overwhelmed when you have tons of projects and hundreds of tasks to complete. It can get overwhelming fast, but Asana can help get it under control and keep it manageable. The main problem I have with Asana is that their pricing structure makes it prohibitive for freelancers like me to upgrade and get the pro level features that I would find useful. What I mean is this; they have a free plan, which is great and has a LOT of features for a free plan, but in order to upgrade, the next tier requires 5 users minimum. That would be fine if I was part of a company, but I am a solo freelancer, so it is difficult to justify paying for 4 empty seats just to get a couple of cool features that the free plan is missing. I use Asana to manage all my projects across several ventures as well as my own personal projects and home chores. I have made different sections in the "teams" for different ventures, and add projects there. It is very helpful for keeping a huge amount of tasks from getting overwhelming and helps me prioritize tasks so that I am working on what is most important at any given moment. Apr 08, 2018 Vicki Brown // Business System Analyst at Mockup Science Inc. I love that we can assign certain tasks to different or multiple users since I'm sure that there are often several employees working on one project. I like that there is a log saying who did what within the task, as in so and so changed the description. This is helpful when I can't remember what has been changed since I last checked a project. Takes a little bit to learn and figure out their terminology and how things work. Also, it will be good to add some method of being able to track time spent working on a project. Ability to total up or see along the way how much time has been spent on the project. We use Asana in our team to manage all inbound requests, priorities, projects and in general the workload across all stakeholders and team members. I like this program, that you can choose the appearance of your toolbar. The program even has a free version that will help you evaluate its capabilities. My favorite aspect of this platform is how easily you can store notes, conversations, documents and task lists related to your projects in one place. If you are looking for a simple and free solution, I can recommend using a trial or free version of this platform for several projects and track your success when interacting and registering. The mobile platform application was one of the weakest. I also did not like that there was a frequent arrival of e-mail messages and notifications that I received at the beginning. Once I learned how to change the notification settings, I found that this experience would be much nicer. With this program, I solve an individual problem, which is the organization of my daily tasks. I use a program for planning tasks, projects, it also gives me a real timeline and a visual representation of how busy my month or week is. The program also allows me to track when a task is not ready for execution and I can move it to a new date, and the task records this movement. Excellent functionality, several "levels" of the task. As a consequence, good detail. There is an opportunity to sort assignments by priority. There is a convenient system of commenting and communication with colleagues. A user-friendly interface makes the product look like a full desktop application. The service is useful for quite large teams, where you should separate the "desktops" of different groups of users. Asana is convenient for both modest and complex projects. I wish it could be a time tracking feature built into this software. This will be useful for pacing time and for tracking time for tasks. "Teamwork without e-mail", reads the slogan on the official website of the project. In addition, it really is: thanks to convenient lists of tasks, the service allows you to organize the work of the team without leaving the system. Team collaboration has improved when we start running multiple projects. We have many new clients to onboard. Any problem can be planned as much as possible in detail. You can make projects under joint tasks, divide them into sections. Also, each task can have its own tags (not only standard ones but any ones you want). Design and usability are indeed at a high level. Especially when compared with the old version of the service or some similar system. The opportunity to invite a person for general work on projects. For the invitation, it is sufficient to know only the email. For team members, you can assign different levels of access. A very convenient option for visualizing tasks by days. It is easy to find out what tasks are planned for the next week. You can transfer tasks between days simply by dragging and dropping them. The Android application contains all the basic functions. However, it's much more convenient to work from the desktop. I like the simplicity for creating tasks and subtasks in a notepad taking fashion. I would like better visualizations on project performance and integration with external contacts. I used it to manage requirements gatherings and project scope control. It solves every mayor aspect of PMing.